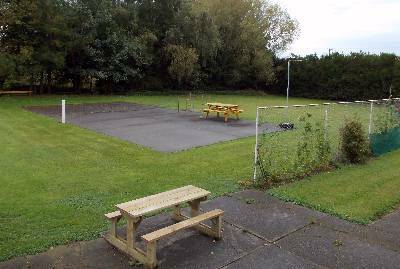 Our club and facilities are for use by members or visitors from other affiliated naturist organisations. However, visitors are always welcome. Our club occupies what was once the old Aparima Primary School grounds, which date from the late 1800s. The schoolroom itself has become our clubhouse, with the original entrance converted to our kitchen. Our clubhouse has a comfortable lounge and dining table, with log burner, satellite TV and stereo. The hearth from the old Masters house now serves as a BBQ / Spit roaster. 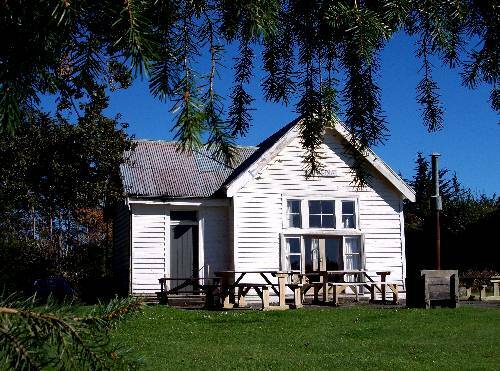 Although our facilities are limited, and are often described as rustic, we have all the basics. Furthermore, the serenity and peacefulness of our grounds more than make up for the lack of luxury. 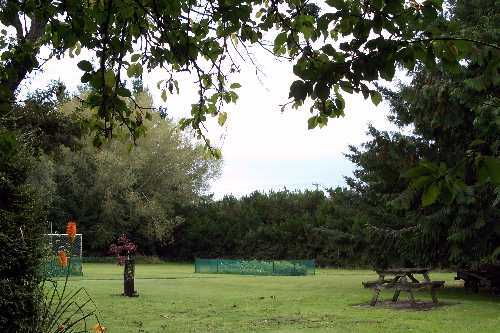 The grounds are surrounded by mature trees which provide complete seclusion and privacy, as well as acting as a windbreak. A swimming pool has been added, as well as a miniten court (mini tennis). Our kitchen is available for both visitors and members use. 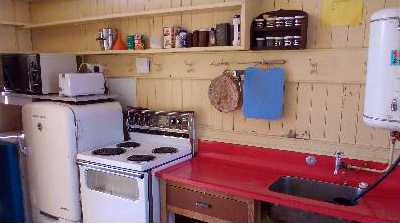 The kitchen has a fridge, oven, microwave, toaster, electric jug etc. Pots and pans, crockery and cutlery are also supplied. There is a basic ablution block providing an electrically heated shower and flush toilets. 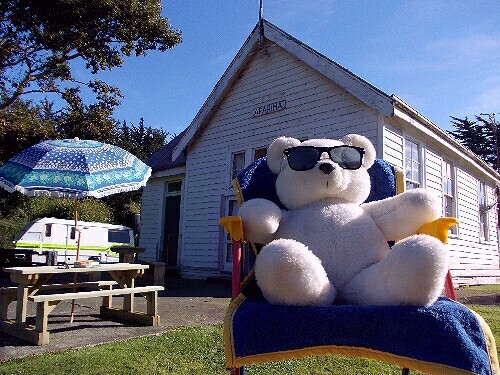 Our grounds and clubhouse provide a safe and relaxed clothes free camping experience, it is not a resort spa. Two basic cabins with double beds and bunks, are also available for hire. Linen is not supplied. Visitor bookings are a must, and reservations can be arranged by emailing us. 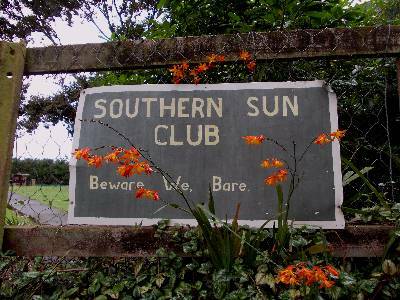 Southland nudists founded our club, called the Southern Sun and Health Club, back in 1959. We were nudists back then, but many now prefer the term naturists. Essentially the names are interchangeable, except that the public doesn't confuse nudists with naturalists, as they often do with naturists. It is said that nudist is an American term, and naturist is more commonly used in Europe. In recent years clubs in most countries have now adopted the European term naturist, with the NZ Nudist Federation changing its name to the NZ Naturist Federation in 2000, and the Australian Nudist Federation swapping to the Naturist title as recently as 2011. 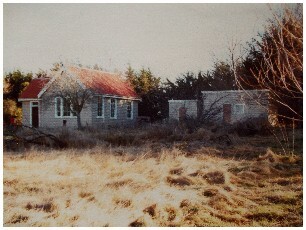 The club's first grounds were near Gore, 12.5 acres leased from the Department of Lands and Survey in 1966. 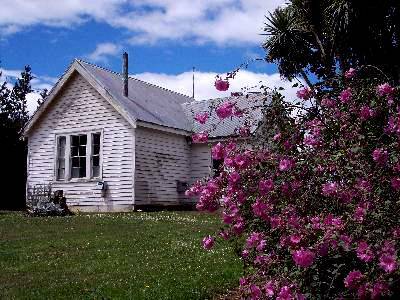 In 1972 half an acre of land was purchased at Oreti Beach, and the grounds were called Flax Haven. In 1976, frustrated by the peeping Toms hanging around the grounds, the club began a search for new grounds. 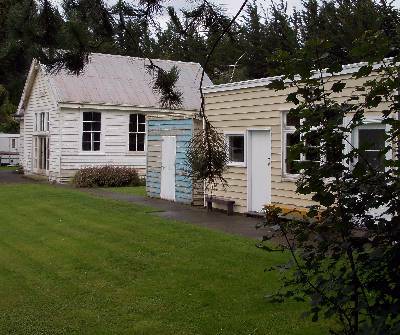 In 1978 the Gore lease was relinquished, the Oreti Beach property sold, and the club bought two acres at Aparima, approximately 10 km from Otautau, in Western Southland. The club settled into what was once the old Aparima Primary School grounds, which date from the late 1800s. The schoolroom itself became the clubhouse, with the original entrance converted to a kitchen. Double doors were added to make a new main entrance into the clubhouse. The hearth from the old Masters house became a BBQ / Spit roaster. A swimming pool was added, as well as a miniten court (mini tennis). Powered sites for caravans and campervans were installed, and an existing hut was divided into two cabins for basic accommodation. 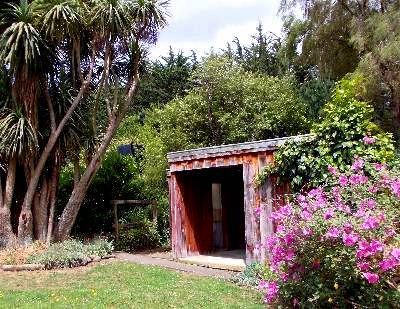 An ablutions block providing an electrically heated shower and flush toilets was also added. Extra trees were planted providing complete seclusion and privacy, as well as acting as a windbreak. Flax Haven, the Southern Sun Club and Southern Palms. We believe we are the southernmost sun club in the world. And yes, it does occasionally snow in winter, but summers can be hot and sunny. Consequently we have a log burner in our clubroom for the chilly days and a BBQ and pool for the hot days.